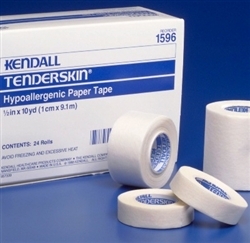 Kendall TENDERSKIN™ Hypoallergenic Paper Tape is used for frequent taping and re-taping dressings where skin irritation is a concern. It is a lightweight paper tape for general use. It is strong, tangle free and easy to tear. 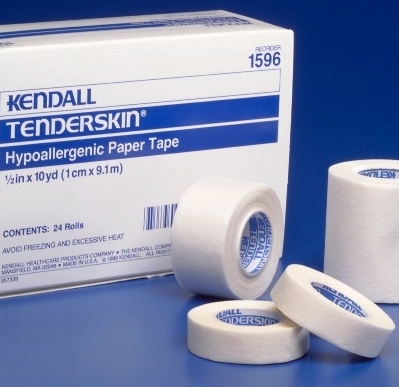 The tape is naturally porous and allows the skin to breathe.